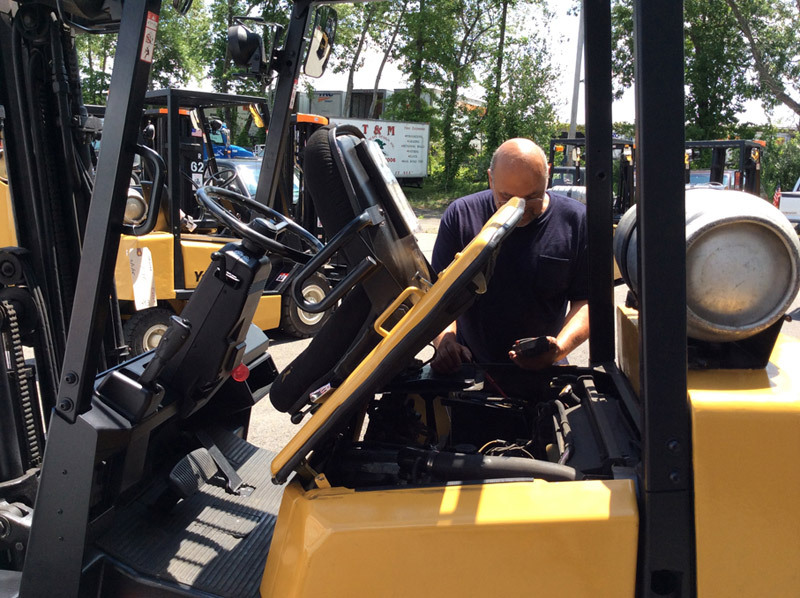 NJ’s one-stop-shop for all your lift truck maintenance needs: from on-site maintenance to in-shop lift truck services. We provide exceptional service for a range of drive systems, including LPG, electric, gas, and diesel. Our maintenance programs are annual, monthly or quarterly and are dependent on equipment use, we also offer contract maintenance services: battery replacement and charging, lubrication, engine rebuilding, and hydraulic cylinder rebuilding are just a few of our maintenance specialties. And because tire replacement has always played a huge role in our business, we also feature tire sales to further accommodate your needs. We keep complete records and history of repairs & parts used on each machine. 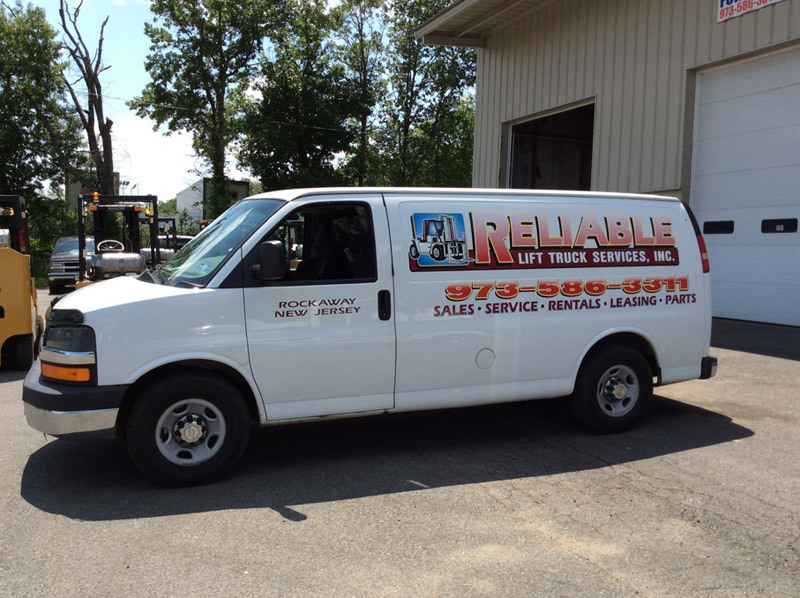 Our service vans are fully equipped with tools and parts so we can provide the best in on-site service, and we feature a flatbed truck to transport disabled equipment to our facility. And while we’re working on your truck, you can take advantage of our lift truck renting and leasing services so you don’t have to do without while you wait. 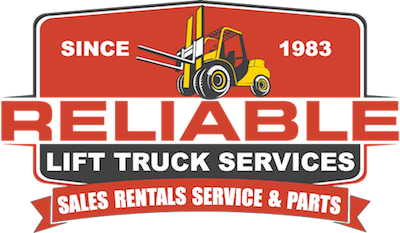 To learn more about our on-site maintenance and in-shop lift truck maintenance, please contact Reliable Lift Truck Service for details.